Eddy – you mean, beyond the description I already gave? 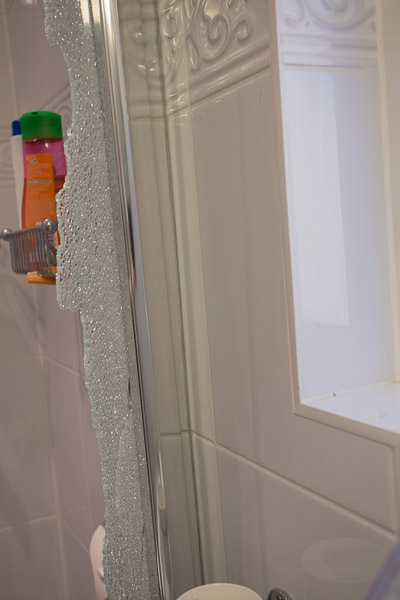 I presume it sort of burst, maybe some structural weak points somewhere, if there was a room above the shower and the ceiling flexed abnormally then it may have shattered under the pressure. I can imagine how a sudden, large change of temperature might do something like this, but that wasn’t the case here. So it remains a mystery. But I do now have a replacement panel, fitted courtesy of Matki. 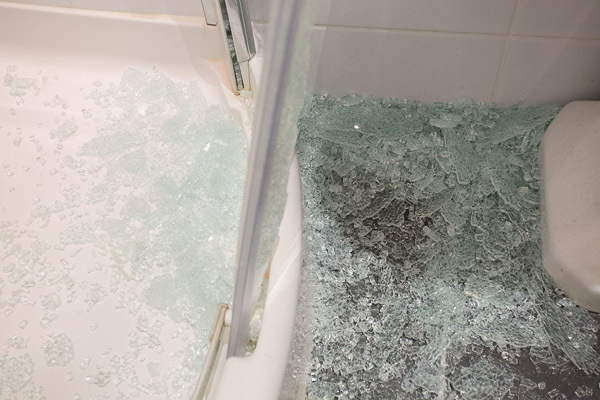 Hi I too have £2500 matki shower which has done the same and yes I can first hand tell you it exploded fortunately I had my back to the shower ! 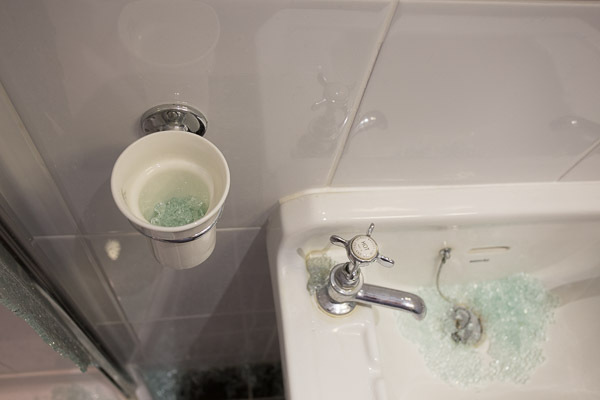 Can I ask where you got the replacement glass . I just called Matki, and they could provide it. In my case, they also installed it, because I kicked up a fuss!